Apple is inviting kids ages 6-12 to visit its retail stores this summer to learn to code, draw, edit videos and more on Mac computers at no cost. Learn introductory computer programming and robotics skills, gaining first-hand experience with Tynker and Sphero products. Another summer program launched this week, Today at Apple, hosts shorter Kids Hour sessions for parents and kids (ages 6 and up) that teach them similar skills. 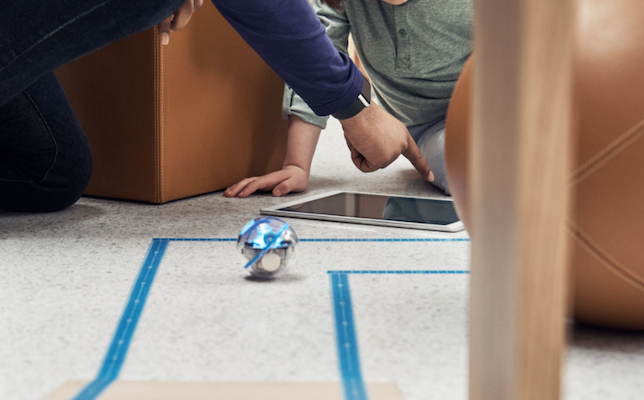 The “Sphero Maze Challenge” session, for example, teaches participants to code Sphero robots and guide them through various obstacles in a maze. Registration for Apple Camp is live in the United States, with many camps filling up quickly. Kids Hours are also open for registration.